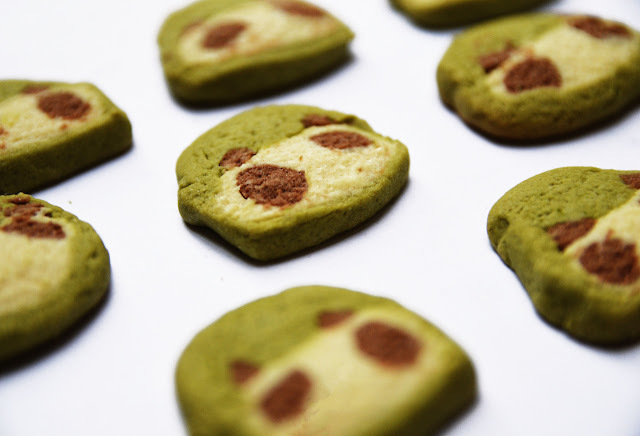 EAT: Panda Cookies. / papillon. 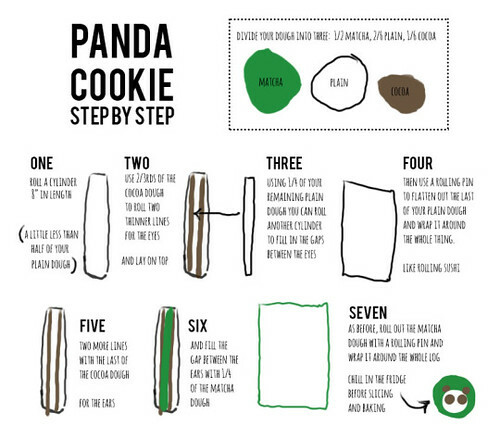 Recipe + Tutorial: Panda Cookies. Guess how much my mother laughed at me for these. Not kidding; apparently normal people don’t spend their evenings crafting tiny adorable complicated biscuits and translating recipes from Japanese and trying to do fractions using their fingers. In my defence, I lived in Japan for two years: the cuteness, it got to me. These didn’t come out perfectly (some of them look a bit like Grumpy Cat??? I???) but I was translating the instructions from this recipe, which I have now turned into a little tutorial diagram above - so next time will be all the simpler. Also if you think I don’t make excited squeaky noises every time I now open the biscuit tin (just, um, checking they’re okay) then you have got me completely wrong. Beat the margarine and sugar together thoroughly until pale and combined. Add the flour, cornstarch and milk and mix to form a cream coloured dough. 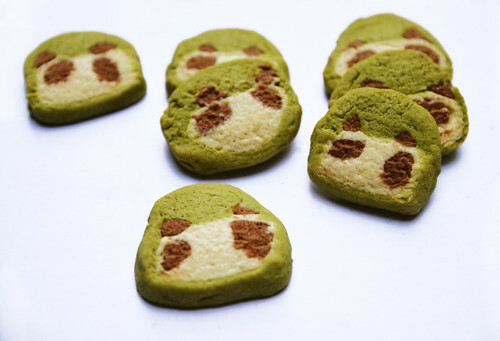 Divide the whole dough into three parts, using sixths: 3/6 (½) green tea, 2/6 plain, 1/6 cocoa. Mix the matcha powder and cocoa powder in to colour the dough evenly. 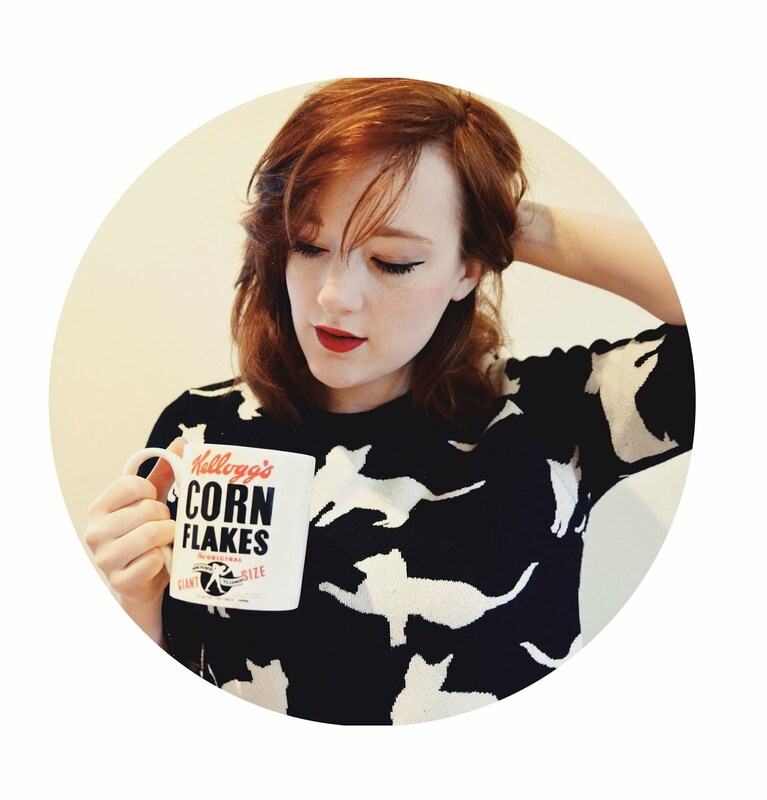 See the tutorial above for how to form your biscuit log! I wrapped the whole log in cling film (plastic wrap) once it was formed, and stuck it in the freezer for 10 minutes to firm up. Then you can slice it and about half-centimetre intervals - you’ll see the panda face in the cross section - and bake at 170C for around 15 minutes. Good luck!